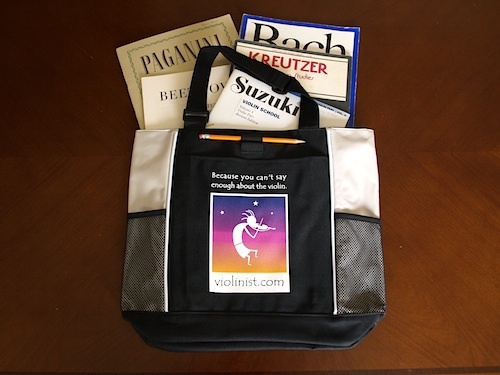 Violinist.com Tote Bags and T-Shirts Now for Sale! 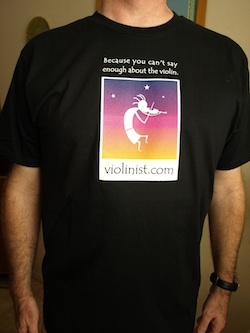 Good news, at last you can buy our nifty Violinist.com tote bags and t-shirts! 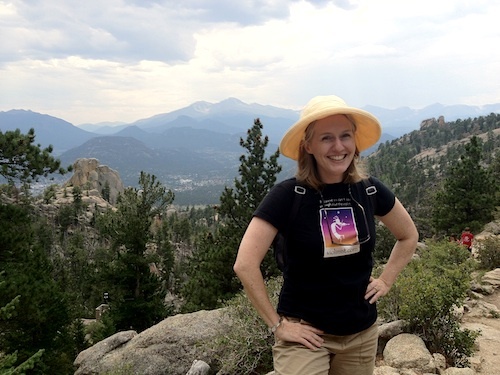 As for the t-shirts, we have the nice women-shaped ones for women, and your regular t-shirt shape for guys, and they are 100-percent, really-nice, organic cotton. Also, when we had these printed, we did not use some cheap online shop. We actually went to a local silkscreen shop and drove them crazy, making them do it over at least three times, even having them create an extra screen to get the color gradients right. These shirts should go with jeans, khakis, a black cardigan -- pretty much everything. 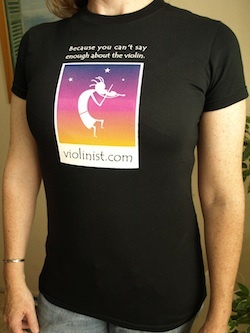 Perfect for rehearsals, practicing, sleeping, exercising, wearing to a gig...We love them, and we hope you do, too! I'm glad you made the tote bags nice. Nobody needs yet another crappy $3 tote bag.